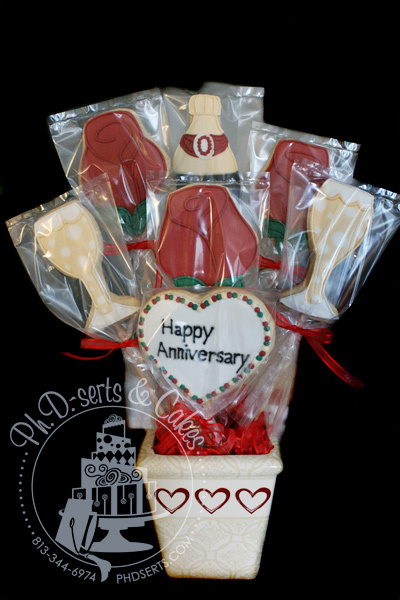 My Aunt Debbie recently shared a photo of a cookie bouquet she ordered for my cousin’s birthday and it reminded me that I never showed you this bouquet! I made this one for my in-laws’ 30th wedding anniversary a few weeks ago. The bouquet featured 2 champagne glasses, 3 red roses, 1 “Happy Anniversary” heart, and 1 bottle of champagne displaying the year 1981. 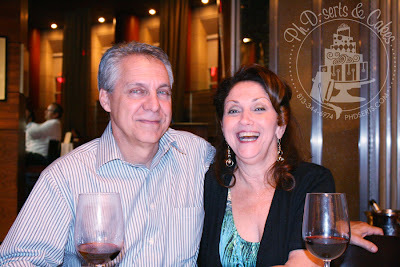 Then, my mother-in-law Leona wanted me to take a good picture of the 2 of them. 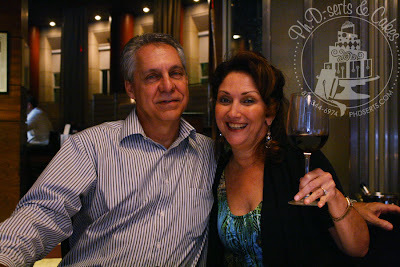 Before you see the pictures, it’s important for you to know that we were eating at Malio’s Prime Steakhouse in Tampa. It’s a fancy restaurant with spectacular food! 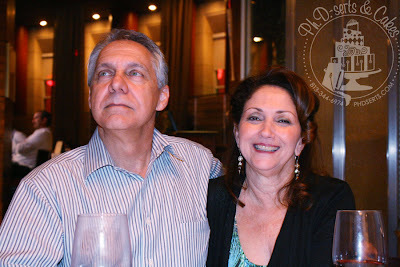 Not a horrible shot, but why must we always pose with our alcoholic beverages? 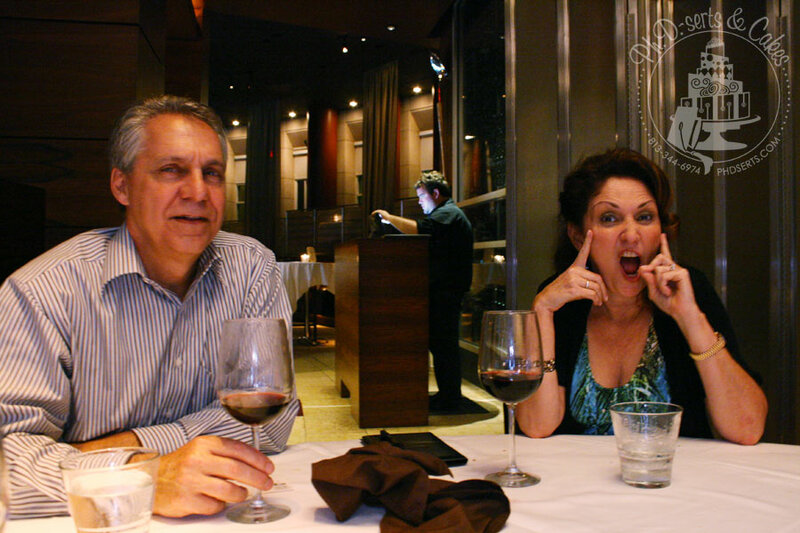 And J-Dawg (that’s what I call my father-in-law) looks less than thrilled to be there. Third time’s the charm, right? Hm…maybe not…Ok, let’s try ONE more time. We give Leona a little pep talk about calming down and looking “normal.” I pick up the camera again, assured that this will be a good photo!